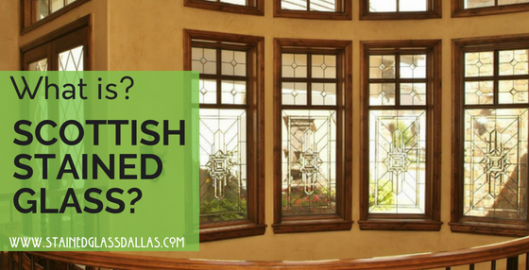 The cold hard truth is–having your Dallas church’s stained glass repaired or restored is a fairly large project that could be time-consuming depending on the size and scope of the project. Also, the cost could range into the tens of thousands of dollars–depending on many factors. But, don’t let these truths scare you away because church stained glass restoration is a very rewarding undertaking. It will bring your church members closer together and even bring your church and even community closer together too. It also preserves some of the fast depleting relics of church history for future generations to enjoy. Furthermore, by asking yourself, your parishioners and your church stained glass restoration company a few key questions, you will very much streamline the process and make it easier for all. How Will You Raise The Money For The Church Stained Glass? Cost is definitely an issue for churches because they will likely need to fundraise to get the money for the restoration. Be sure to get a feel for how far your church members are willing to go to get the funds and what they may not be comfortable with. Will they seek out wealthy local donors? Will, your church do fundraisers? What kind of fundraisers? Are there historical societies to turn to for help? How Will Decisions On Appearance, Budget And Timing Be Made? Knowing who will be in charge of key decisions in the restoration process is critical, as well as, having a budget and a strong sense of timing that works for your church. Who will be that point person from your church? And are they comfortable with making important decisions sometimes on their own? Conversely, will your committee vote on every decision? 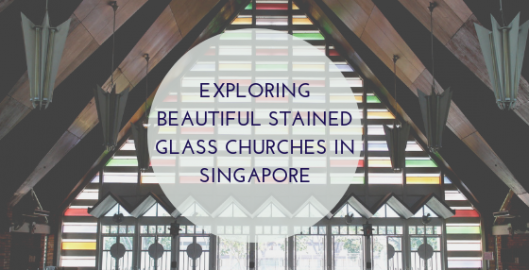 How Long Can You Realistically Be Without Your Church’s Stained Glass? Knowing how long your windows will be out of commission and whether your church has upcoming events in which our temporary windows will not do, is a critical part of the restoration process. What about for summer time and wedding season? Timing really is everything, so taking a good hard look at the best season for your Dallas church’s restoration is key. Does Your Churches Stained Glass Need Repair Or Restoration? Before you spend any valuable time or money on your church’s stained glass windows, be sure to ask and understand whether your church’s stained glass needs repairs or restoration. They are very different processes. Also, don’t be afraid to ask if the glass is even worth it/ is salvageable. Sadly, not all church stained glass can be saved. Many things hinge on which type of job your church stained glass needs–timing, cost, where the windows will be worked on and more. Is The Restoration Company Insured? Hiring a stained glass repair company that is insured is non-negotiable. Should an accident or injury occur on your church’s property, you could be held liable if they are not properly insured. Stained glass is breakable so there is an inherent risk. Any reputable stained glass restorer will have full insurance and proof of it. The stained glass restorer you choose should be able to give you a good ballpark time estimate. Of course, things could change a bit once your Dallas church’s stained glass windows are out and being repaired but having an idea of timing is important to your church’s events and fundraising efforts. How Much Will The Church Stained Glass Restoration Cost? As church stained glass restorers ourselves, we know that giving churches a fairly solid estimate on cost is important, since they will likely have to raise the funds from scratch. Any reputable restoration company will be happy to answer questions on cost and scope. These questions are a good jumping off point. 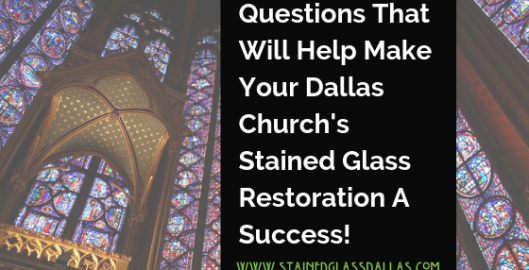 For more information on these questions or if you have a few in mind beyond these, contact us at Stained Glass Dallas today! 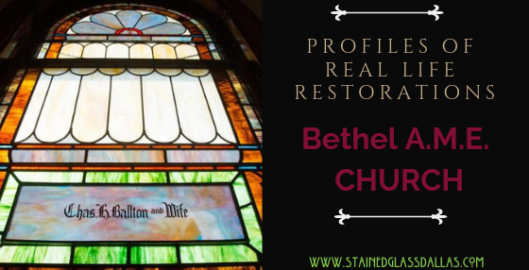 Stained Glass Restoration Reviews: Bethel A.M.E. While it is true that Church stained glass restoration is an expensive undergoing, it is also so very important to the history of American churches of all denominations and more importantly breathes new life into congregations. Furthermore, it brings such joy to parishioners. So for churches here in Dallas and around the country, stained glass restoration should be a very real consideration for small windows to large and from simple to intricate. A very fantastic example of how wonderful stained glass restoration can be for a church and its body as a whole is clearly illustrated by the sanctuary restoration of Bethel A.M.E. Church located in Huntington in NY. This lovely old church has the distinction of being Huntington, NY’s oldest African American church and that distinction carries with it deep historical significance both for the area and for the African American culture in the area. The project cost right around $50,00 and took about two years but as the parishioners found out, it carried deep meaning, since they truly felt they were preserving more than just their windows but their culture too. 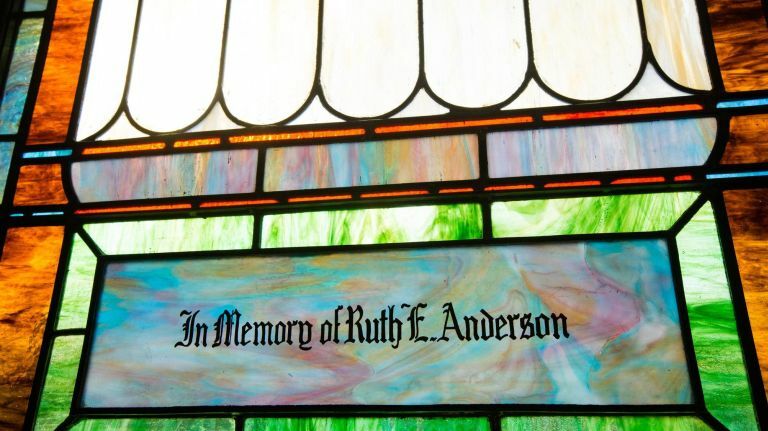 At the same time, they ended up paying homage to those bygone parishioners that put so much into founding church and the original stained glass windows. As you can see from the pictures, the stained glass windows in the sanctuary at Bethel A.M.E. were very minimalistic but so lovely! They also were incredibly true to the style of the era in which they were installed back in 1924. However, over the years the condition of these once lovely stained glass windows had become severely deteriorated so, in 2016, Rev Larry D Jennings made a decision to restore them from their broken down condition. He did this not only because the window really needed it but because he and his church body saw the historical, culture and artistic value of these relics and also thought it was a good way to respect the church members of the past who likely sacrifice for them to be installed. Paying for stained glass restoration can be an expensive endeavor and accordingly, finding funds can be a challenge. But as Bethel A.M. E found out–not impossible and well worth it. In their case, a town historian, Robert Hughes found grants from the Robert David Lion Gardiner Foundation for $20,000, them the Sacred Sites program of the New York Landmarks Conservancy for $10,000; and finally The Gerry Charitable Trust for $5,000. The remaining costs were covered by generous donations from the congregation itself and the results could not be more awe-inspiring. 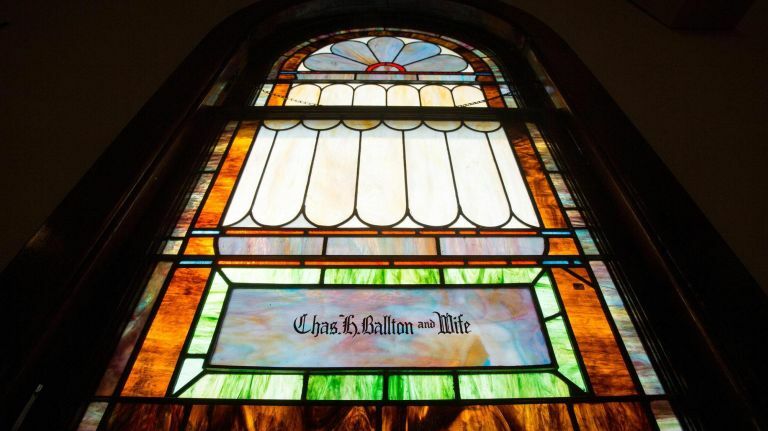 If you have a church here in Dallas with stained glass windows you and your church membersContact us just love but maybe 80 or more years old, maybe it is time to consider having them restored as a way to breath new life into them and your congregation. 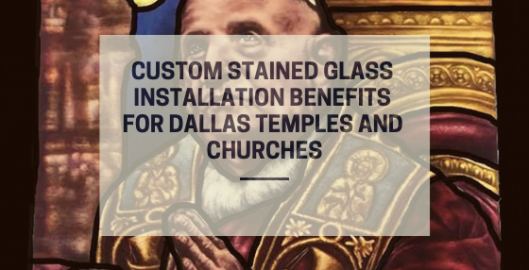 Here at Stained Glass Dallas, we are able to help guide you through the process, costs and even fundraising for stained glass restoration as well. today for more information and for a free consultation/stained glass inspection. Dallas houses some of the most intricate, gorgeous cathedrals in the nation. With these historic cathedrals are incredible stained glass features that illuminate the observatories with inspiring imagery and meaningful messages. As these stained glass windows begin to age, you may notice some signs of deterioration. 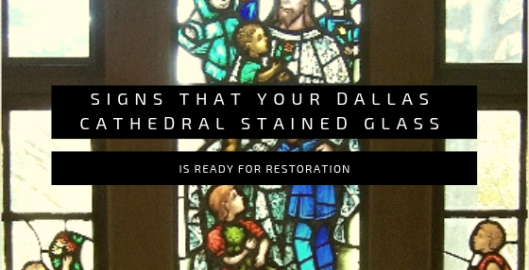 It is important to recognize which signs indicate the need for restoration in order to properly preserve your stained glass for numerous generations down the line. When most people hear the words Dallas or Texas, they may think of wooden shutter board houses of the of the Wild West. As a true Texan, you know this is not always the case. Residents like you in historic neighborhoods like Winnetka Heights or Old East Dallas spend great care in maintaining the charm of beautiful homes. If your home features stained glass pieces, or if you are thinking of adding stained glass, you must always consider restoration as part of your routine house maintenance. You can trust the professionals at Stained Glass Dallas to simplify stained glass restoration to keep these stained glass works in outstanding condition for years to come. When created and maintained properly, stained glass windows can last for generations – glass is practically immune to natural deterioration, as you can see from long-standing cathedrals and castles decorating Europe and Victorian homes in Dallas, TX. While glass is extremely long-lasting, damage can occur due to the natural elements. While Dallas is a wonderful place to live, it ranks very high on the list of US cities prone to natural disasters, which include tornadoes, earthquakes, and hurricanes – all of which can involve projectiles flying at high speeds that will surely cause damage to delicate stained glass artworks. Extreme heat can also warm glass and surrounding frames and reinforcements. An errant ball thrown by a child in the neighborhood or an aggressive entry attempt may also cause damage to your precious stained glass windows or doors. Equally as important, regular wear and tear can cause damage over time, simply from the repeat vibrations and force used to open and close doors and windows. A professional stained glass restoration technician can help make the right decisions so that your stained glass stays beautiful for years to come. Before any repairs or restorations on stained glass are considered, many details must be carefully considered, otherwise more damage than good can happen. Special care must also be taken to properly clean stained glass to reduce the regular buildup of dirt, soot, and pollutants from clouding your stained glass pieces. If you are lucky enough to have the complete history of your stained glass pieces, the process of stained glass restoration is much easier. If the origins of your stained glass and maintenance records do not exist, a restoration expert can help you make the best choices using their professional knowledge of architecture. Clues such as when your Dallas home was constructed, stylistic elements, compositional elements like frames and reinforcements, as well a hidden artists’ inscriptions all come into play. One example that makes elude the average person is with Tiffany Studios stained glass – the studio went through many name changes including Tiffany Glass Company, Tiffany Glass & Decorating Company, Tiffany Studios New York, and Louis C. Tiffany, and sometimes did not leave an inscription or signature. 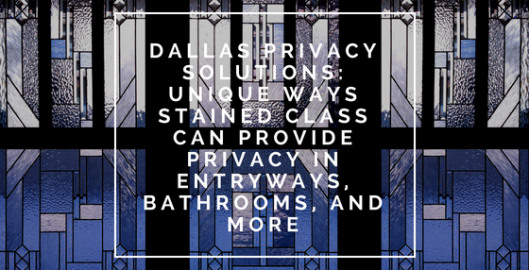 Stained Glass Dallas has been a leading provider of stained glass services in the Dallas and Fort Worth area for over two decades. Over 40,000 stained glass pieces have been designed locally in Texas by our company, providing American quality you can trust. Contact us today for an expert consultation, free of cost! Here at Stained Glass Dallas, we are proud to say that we are one of many child companies of the renowned Scottish Stained Glass company. There are many reasons for this, the fact that our owner Martin Faith brought with him from Glasgow old-world stained glass traditions, notwithstanding. Martin then painstakingly meshed those techniques with the latest in stained glass technologies and here we are today! This combination of old and new school elevates our stained glass to another level of finery. The phrase mid-century modern is all the buzz lately and the as a style for a home it is pretty amazing. What most people don’t realize though, is one of the grandfathers of that look was a man named Frank Lloyd Wright and he was a talented and prolific architect and designer who actually created a number of different styles that are as relevant today as they were in the early 20th century. 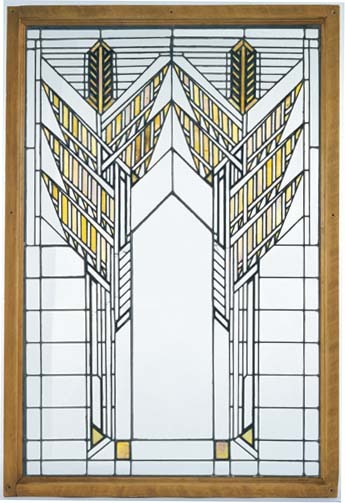 Beloved and beautiful, the Prairie Style, was the brainchild of Frank Lloyd Wright and clearly a passion project that he was incredibly proud of and, as it were, is one of the most popular stained glass styles on the market today. Read Below to find out why. What Is Prairie Style Stained Glass? When one thinks of the prairie you probably imagine sprawling fields and clear horizon lines stretching on for miles and miles. This type of expanse filled with light and vast openness is exactly the type of feel Wright wanted for both is architecture and stained glass. Dramatic horizontal lines that stretch and blend into both the nature outside the windows and architecture within are strong hallmarks of Wright’s work. He was obsessed with how light entered a room and considered light, as well as the glass itself part of the design itself. He was more concerned about the integrity of the materials he used, meaning he did not want to disguise the glass as anything other than glass. Similarly, he wanted everything he designed in the Prairie Style to look like it belonged harmoniously in a natural setting. The results from Wright in this and many other styles, as you can see, were simply stunning. His work, while modern at the time, had such strong echoes of the natural world was just at home in the natural world as it was in a city. His subdued use of color and penchant towards clear glass with only intersecting lines allowed his prairie style work to be both interesting to the viewer but still at peace the natural world around them. To say Frank Lloyd Wright was ahead of his time, would be correct, however, when one sees both the uniqueness and breadth of his work, you are left to believe no matter what era he lived in he would still be a maven of his day. 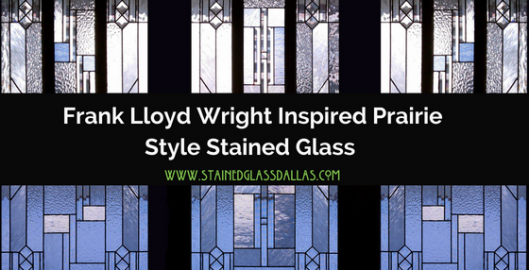 At Stained Glass Dallas we have nothing but respect for the genius that is readily apparent in Frank Lloyd Wright’s Prairie Style. We create glass in this style for our customers to honor him and to keep the legacy of artistic perfection alive today. 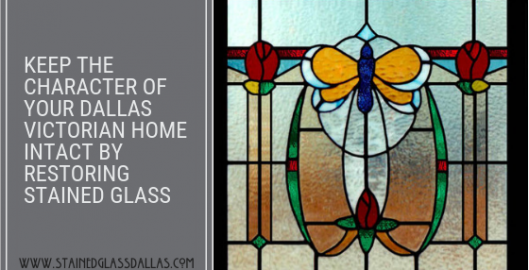 If you are interested in a prairie style stained glass window for your Dallas home, contact us today for more information and to schedule a design consultation with one of our Prairie Style experts.